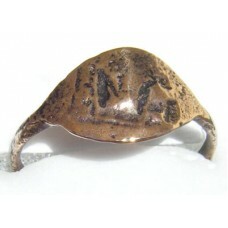 Authentic Ancient Roman Empire Bronze Ring Key circa 1st - 3rd c. AD. 35mm x 22mm x 21mm oute..
Roman Empire, 1st - 3rd c. AD. 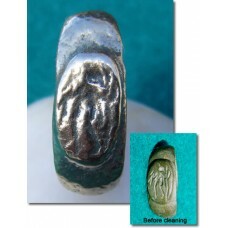 Bronze ring with a seated figure on the bezel. 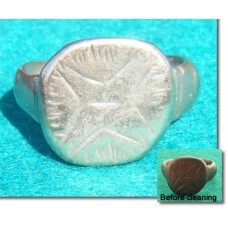 US size 6 1/4 -..
Roman ring - bronze with celestial star and cross in center. Circa to 1st to 4th century AD. 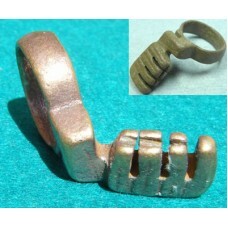 F..
Roman ring. Bronze with Roman God Mercury engraved on bezel. circa 1st to 4th Century AD. From.. 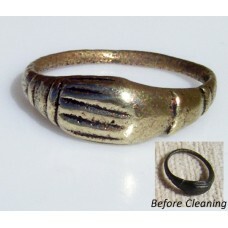 Bronze Roman Handfast Ring, Betrothal, Wedding, Marriage Ring. In Rome, the joining of the right han..